Grooms attire has come so far from a generic penguin suit these days with more grooms and suit designers experimenting with colours, designs and texture. 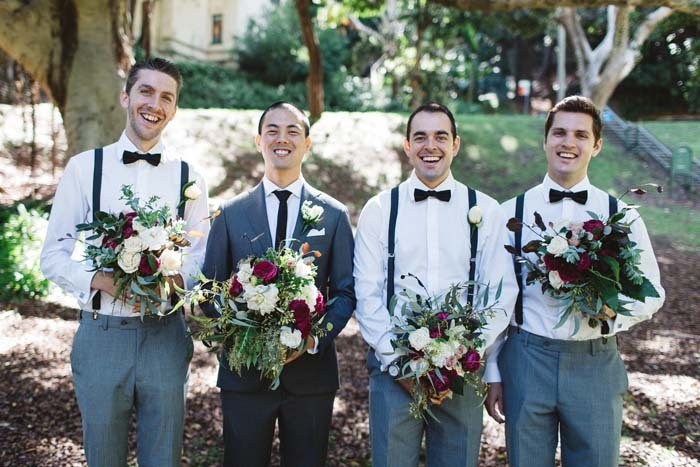 There are so many ways to have your man show off his sense of style and personality through boutonnieres, vests, socks, shoes and mixing and matching pants and jackets and we love the plethora of looks we see from our grooms. We've collected images of some of our favourite grooms with dashing style to inspire you and your husband-to-be. After all, we think he should take your breath away on the big day too! Lets hear it for the boys! 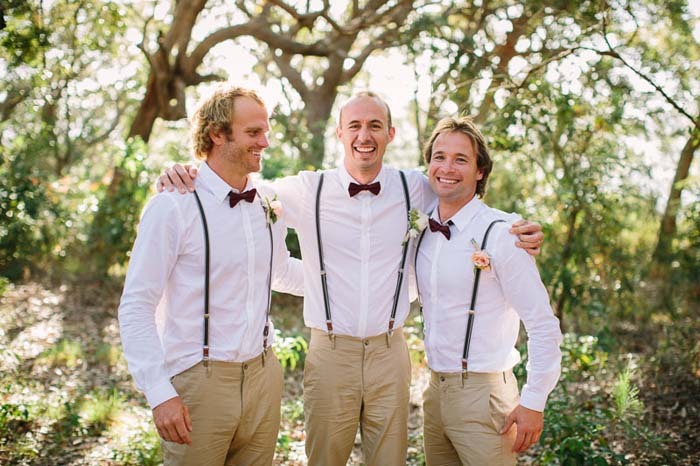 Ready to dress your groom to impress? Head to our suits and formal wear supplier page to see whats on offer!